As every Bond fan knows, Daniel Craig has finally confirmed that he’ll return as the famous secret agent in Bond 25, the next 007 flick due out in 2019. 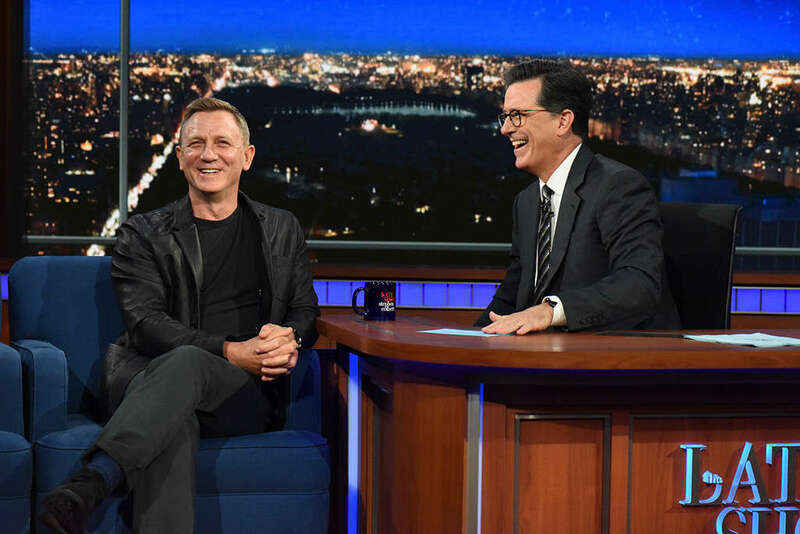 Curiously, he made the speculation-ending announcement on The Late Show with Stephen Colbert, and rather than one of his prized Rolexes he wore the new limited-edition Seamaster Diver 300M “Commander’s Watch” on the show. Who else is excited to see Daniel Craig in Bond 25? 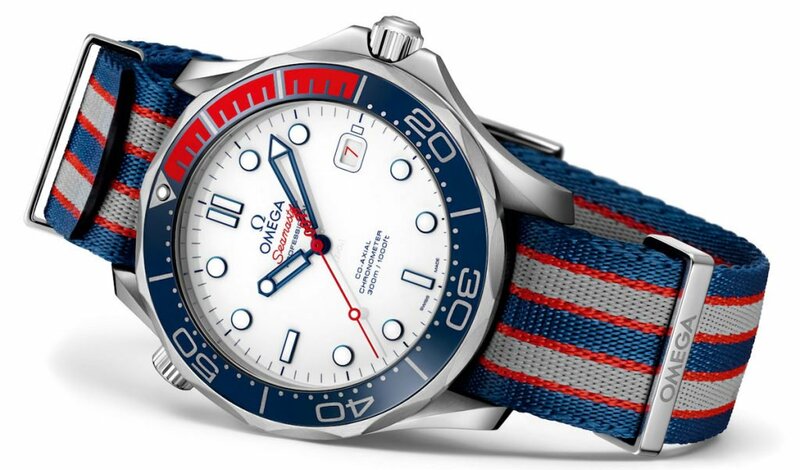 As we noted last month, the watch celebrates the rank and regalia of the James Bond character and celebrates the 50th anniversary of You Only Live Twice; the 40th anniversary of The Spy Who Loved Me; and the 20th anniversary of Tomorrow Never Dies, all films in which Bond sports Omega watches, as he continues to do on-screen today. Cased in stainless steel and follows the Royal Navy’s ensign colors. 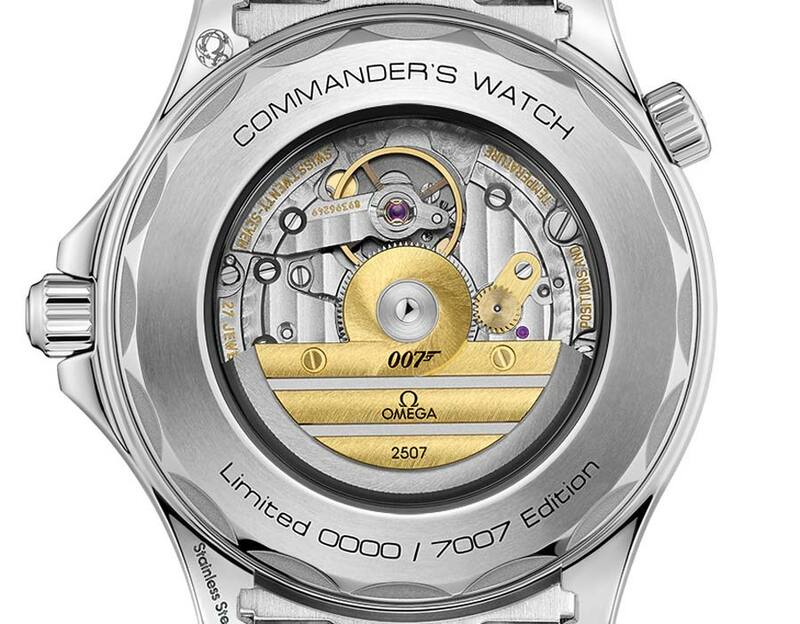 The stainless steel version is limited to 7,007 pieces, with an 18K yellow gold model limited to just seven pieces for collectors and 007 fans worldwide. Will we see the Commander’s Watch in Bond 25? 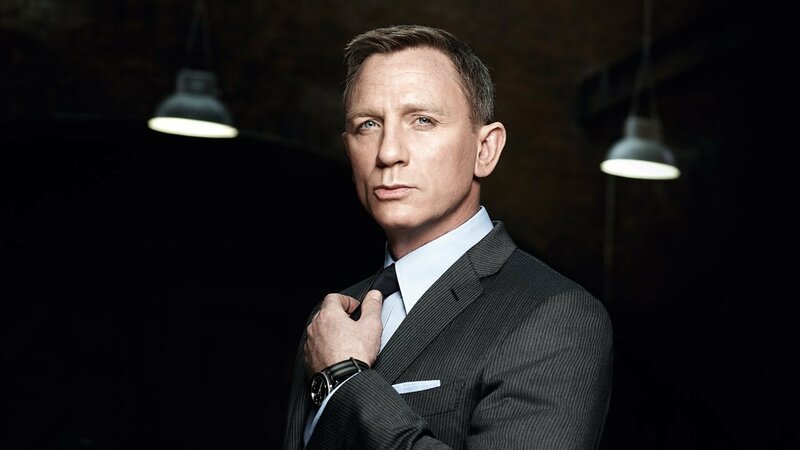 In the most recent Bond film Craig wore the Seamaster 300 ‘Spectre’ Limited Edition, also produced in a limited 7,007 run, on a grey and black NATO strap. Omega has been the watch of choice for James Bond since 1995, when the world’s most famous spy wore a Seamaster in the film GoldenEye. The epic “Commander’s Watch” has been making the late-night rounds on the wrists of other cool characters as well, including Jeremy Renner. Might it be a contender for the next Bond film? “We cannot yet confirm exactly which watch will be worn in Bond 25 at this time,” Omega tells us, but we’d imagine they can come up with something new and equally cool in the next year before filming actually starts. Which watch do you think will be featured in Craig’s final film as James Bond?